The principal factor, the guiding force for creation of Pakistan was the exploitation of Muslim minority by dominated Hindu population in united India, which ultimately led them to demand a separate homeland in the shape of Pakistan. Hence, leaving minorities in Pakistan with the same destiny and sense of insecurity is not a good omen as it can destroy the national fabric. The green and white colours of Pakistani flag are beautiful combination similar to the proportion of Muslims and non-Muslim population which live in Pakistan. It is incumbent upon us to liberate Pakistan from unbridled hate mongering extremists and make it a peaceful land – a land really of pure people. Shakespeare says ‘what is in a name’? It seems to be true so far as the name of Islamic Republic of Pakistan is concerned, as there is nothing Islamic in Pakistan – from terrorism to violation of minorities’ rights and from widespread illiteracy to horrible crimes against women. Yes of course, we own an Islamic name which satisfies our sense of identity to be Islamic outwardly. In fact, our hypocrisy and double standards have made us a laughing stock in outside world which compels us to find some time to introspect as to what was the struggle for an Islamic state all about? If it was just for a land we are living in today, then our heads hang in shame since we have failed to uphold the true spirit of Islam. The fact of the matter is that Islam is not as much complicated as we tend to make it with our rigid attitude and limited perception. Like many other matters, the concept of the nature of an Islamic state may have been disputed among different Islamic scholars. But who could deny the fact that no state could be described as Islamic until it turns to be a welfare and humanitarian state, where grand human rights charter ordained by Islam could be implemented in letter and spirit. Hence, the apostles of Islamization in Pakistan should first advocate a democratic and welfare state with equity, social justice and safeguard of minority rights which are prerequisites to establish an Islamic state. The fact of the matter is that Quaid-e-Azam too visualized Pakistan in line with the same concept which unfortunately was distorted soon after his death. 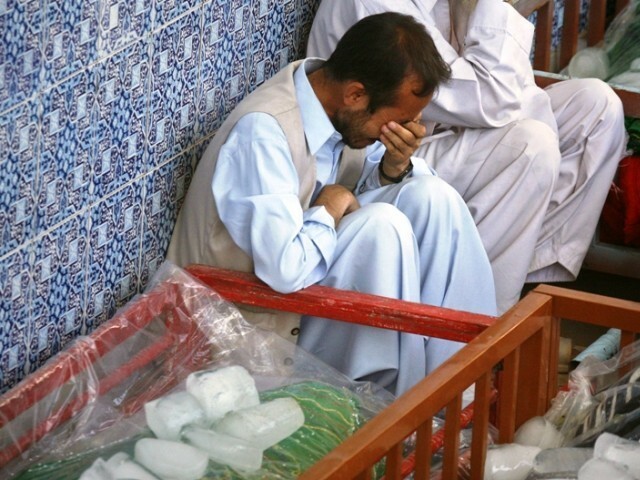 As a result, Pakistan has transformed into a chaotic state where non-Muslims and Muslims are equally in danger. As a nation we are getting sicker – we refuse to accept the existence of our disease. We call ourselves humans; we call ourselves people of faith and many other names. But what we don’t call ourselves is what we have become: soulless. The brazen Nazi style attacks on minorities proves exactly that. Moderate Muslims are being blasted for differing with extremists’ flawed interpretation of religion and non-Muslims for simply asking justice and security of life, honour and property being citizens of Pakistan. Unfortunately, the assassination of federal minister Shehbaz Bhatti and growing discrimination against minorities is not only a mockery of Jinnah’s concept of a state but also of Objective Resolution – Pakistan’s Magna Carta – and our enacted constitution which ensures the safeguard of minority rights in Pakistan. Above all, such unfortunate circumstances put a question mark on the very Islamic nature and identity of this country, as it is following the opposite path. Today the religious intolerance appears to have penetrated into our society adding violence/disharmony and leading to polarization. Islam teaches equality and peaceful co- existence, and all Muslims are exhorted to remain above sectarian divide and protect the rights of minorities. It is imperative to understand that there is no obscurity about minorities’ right in Islam, which according to moderate Islamic scholars seeks to establish a society where all citizens enjoy equal rights and religion does not become the basis for any discrimination. Prophet Muhammad (PBUH) had defended the rights of non-Muslim minorities at many different places. He said, “O who kills a man under covenant (dhimmis) will not even smell the fragrance of Paradise” (Bukhari and Muslim). “Whoever murdered a zimmi, God closed the doors of heaven upon him”(Nasai). “Beware! Whosoever is cruel and hard on such people i.e., (Contractees or non-Muslims) or curtails their rights, or burdens them with more than they can endure, or realises anything from them against their free-will, I shall myself be a complainant against him on the Day of Judgment” (Related by Abu Daud in The book of Jihad). The ancient history of Islam is replete with the examples when non-Muslims were not only given full protection but also in many cases rulings were given in favour of non-Muslims against the Muslims. During the days of Holy Prophet Muhammad (PBUH), a Muslim killed a zimmi. The Holy Prophet (PBUH) ordered the execution of the murderer. Many books written by scholars narrate that during the time of the Caliph Umar, certain Muslims had usurped a piece of land belonging to a Jew, and then constructed a mosque upon it. The Caliph ordered the demolition of the mosque and the restoration of the land to the Jew. During the rule of Caliph Hazrat Ali, a Muslim murdered a zimmi. When the charge was proved, Hazrat Ali ordered for the execution of the murderer and said: “Whoever is our zimmi, his blood is as sacred as our blood and his property is as inviolable as our own property”. In the light of above and many more instances, do those extremists who shed the blood of innocent minorities deserve to be called Muslims at all? What kind of service they are doing to Islam by denying the teaching and Sunnah of Prophet Muhammad (PBUH)? It will not be wrong to say that they are as much the enemy of Islam and Pakistan as of non-Muslim Pakistanis. They are transgressors and criminals and no other tag they deserve to uphold. Nevertheless, the incompetence of our government to rein in extremists is equally a matter of concern since it is the foremost duty of any government to give full protection to minorities, their leaders and their places of worship. We should not be oblivious to the fact that one of the factors for creation of Pakistan was the exploitation of Muslim minority by dominated Hindu population in united India which ultimately led them to demand a separate homeland in the shape of Pakistan. Hence, leaving minorities in Pakistan with the same destiny and sense of insecurity is not a good omen as it can destroy the national fabric. 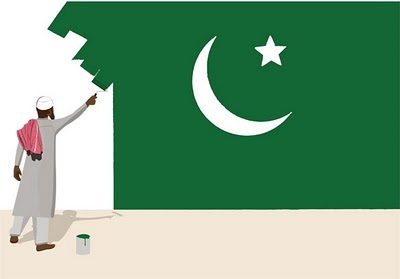 To recapitulate, green and white colours of Pakistani flag are beautiful combination similar to the proportion of Muslims and non-Muslim population which live in Pakistan. It is incumbent upon us to liberate Pakistan from unbridled hate mongering extremists and make it a peaceful land – a land really of pure people. It is pertinent to mention here that a constant struggle from all sections of our society to fight extremism in all of its manifestations is need of the hour, failing which any one of us could be the next target. What a change, but we have to wait a lot for such ground reality. Wonderful article, a voice of thousands of peace loving Pakistanis. Our minorities are an integral part of us and we are really ashamed of injustice against them. Thanks Sana for apreciating our efforts. To some extent, the term ‘minorities’ in itself carries the connotation of apartheid. If we think in terms of our nationhood, then there should be nothing such as minority or majority. We are all Pakistanis irrespective of our caste, creed and color. Our great Qaid in this very context had laid the foundation of our coutry and had established for once and all, when he said, ” Now if we want to make this great state of Pakistan happy and prosperous, we should wholly and solely concentrate on the well being of the people, and specially of the masses and the poor. If you will work in cooperation, forgetting the past, burying the hatchet, you are bound to succeed. If you change your past and work together in a spirit that every one of you, no matter to what community he belongs, no matter what relations he had with you in the past, no matter what is his colour, caste or creed, is first, second or last a citizen of this state with equal rights, privileges and obligations, there will be no end to your progress. I cannot emphasize it too much. We should begin to work in that spirit and in course of these angularities of the majority and minority communities, the Hindu community and the Muslim community — will vanish. You are free, you are free to go to your temples, you are free to go to your mosques or to any other places of worship in this state of Pakistan. You may belong to any religion or caste or creed — that has nothing to do with business of the state”. But Alas! we forgot the pivot, the central theme which formed the basis of creating Pakistan, and perahaps that’s the reason we still are wandering into the wilderness of finding a raison d’etre for our nation.